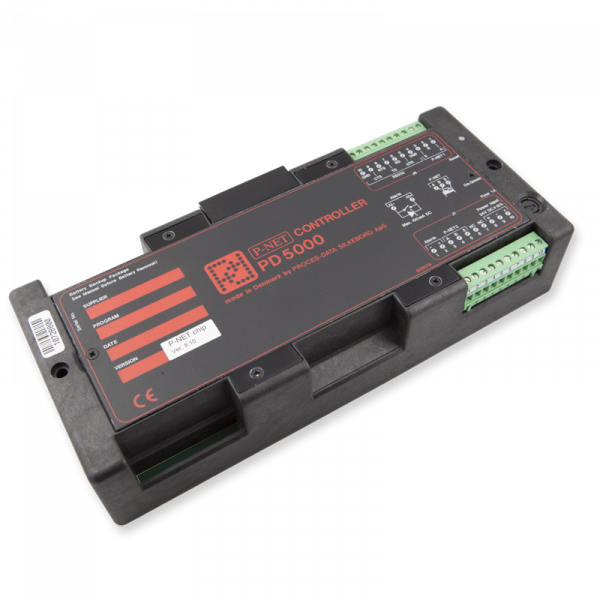 The PD 5000-Series of controllers has been developed as the 2nd generation of P-NET fieldbus controllers (masters), for use as distributed computing elements within either highly complex or simple process control systems. The PD 5000-Series ranges from the PD 5000, a controller without keyboard/display, via the PD 5010 and PD 5015 having sealed keyboard/display, to the PD 5020 with built in colour graphics card. 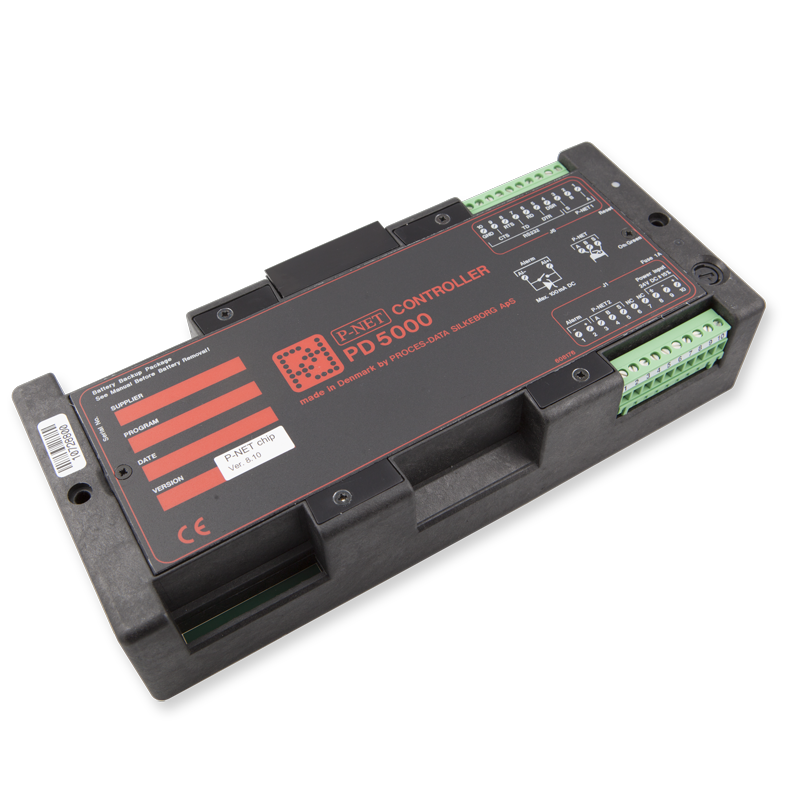 Together with possible additional controllers and PC’s, the PD 5000 is used in conjunction with other distributed input/output modules (slaves) such as digital, analogue, flow, and weight nodes, to form a complete control system, which all communicate via the P-NET fieldbus (EN 50170 Vol. 1). Since the Controller offers dual P-NET ports together with an RS232 connection, it can be used to link two P-NET sections (multi-net), or as a gateway to other communications media, including PC’s, modem’s etc. Although the PD 5000 can be utilised independently as a powerful processing element, the PD 5010 and PD 5015 enable a controller to be used as an operator input and display interface. Furthermore, the PD 5020 enables the controller to be used with a VGA monitor, a standard PC keyboard and a mouse, as a Supervisory Control System. The Controller is programmed in Process-Pascal, which is an extension of standard Pascal, allowing easy declaration and utilisation of P-NET variables and objects. Programmes are developed on a standard PC, compiled and down loaded directly via a PC/P-NET interface card, or via the RS232 interface. Program code can be down loaded to FLASH memory or battery backed RAM. The PD 5000 has on board memory consisting of 512 Kbytes of FLASH and 512 Kbytes of lithium backed RAM. In addition, a 128 Kbyte EPROM is provided which holds the Operating System. 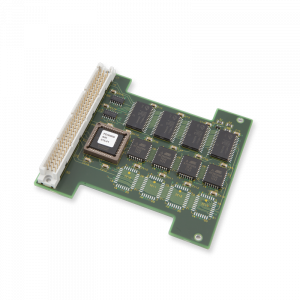 The use of the RAM Extension Board (PD 5090), extends each of the FLASH and RAM memory capacities to 1 Mbyte. In keeping with the standardised, object orientated channel structure of other P-NET devices, the PD 5000 provides a structure of up to16 Channels, dealing with the configuration and use of Communication Ports, Program control, and the digital alarm output. As with all P-NET devices, the Service channel (channel 0) provides the ability, amongst other facilities, to identify the device and to provide the means to set the node address. The Controller has three serial communications interfaces, configurable for PNETmode, DatamodeIn, DatamodeOut or DatamodeInOut. Two of these provide galvanically isolated RS485, multi-master, multi-net interfaces with the P-NET fieldbus, and run at the standardised speed of 76.8 Kbaud or at 9.6 Kbaud. In non PNETmode the communication channels are used to provide an interface to other communication protocols using RS485. In non PNETmode the Baud rates are adjustable between 1.2 and 76.8 Kbaud. The third is a standard RS232 interface, which has an adjustable Baud rate of between 1200 and 9600. This communications channel is used to provide an interface to printers, modems, barcode readers etc., as well as other communications protocols using this medium. The PD 5000 has a built in digital channel, controlling the operation of the “Alarm Output” available at the rear of the controller. 512 Kbytes FLASH and 512 Kbytes RAM. PD 5000 is approved in compliance with EMC Directive No. 89/336/EEC. Test limits are determined by the generic standards EN 50082-2 for immunity. PD 5000 is approved in compliance with the IEC 68-2-6 Test Fc standard for vibration.